National Geographic Channel wanted to identify, target and engage would-be viewers of their new miniseries about the dotcom boom of the ’90s, Valley of the Boom, and turn them into dedicated fans. 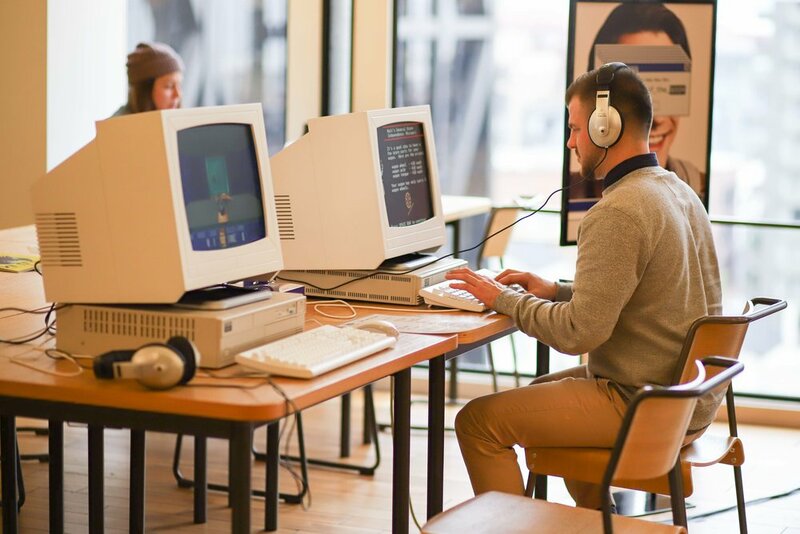 We found the audience in the startup garages of today— coworking spaces— where we partnered with WeWork to transform a few of their locations into nostalgic ’90s-themed Valley of the Boom-branded internet cafés. 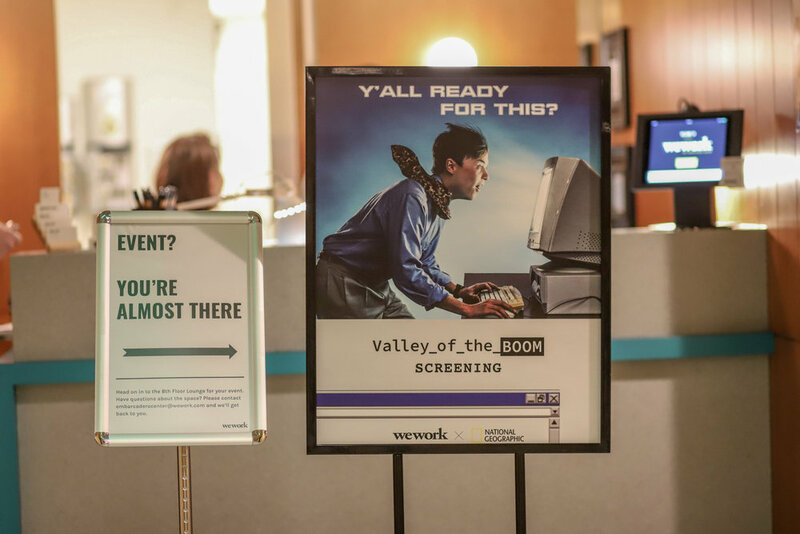 WeWorkers could come explore and indulge in nostalgic activities from the ’90s, like arcade and board games, a social vending machine, trivia competitions and more, driving visitors to post using #ValleyOfTheBoom. 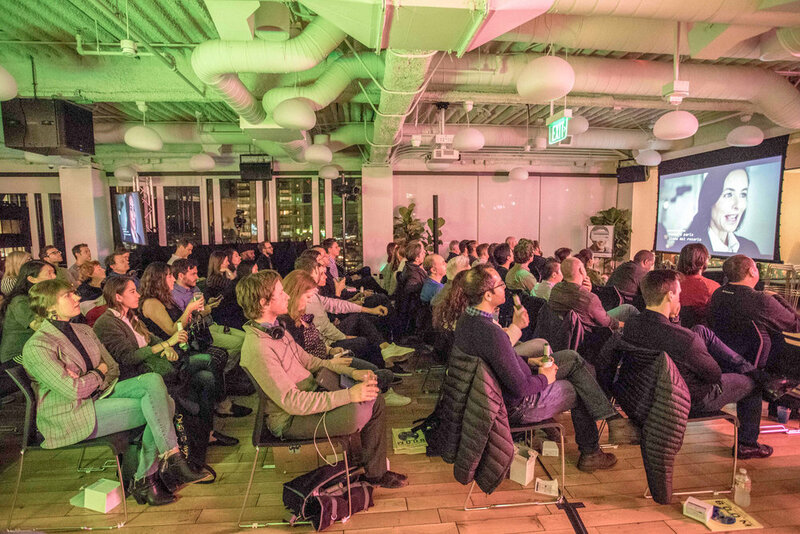 We reengaged this audience directly before the network premiere with screenings at flagship WeWork locations. 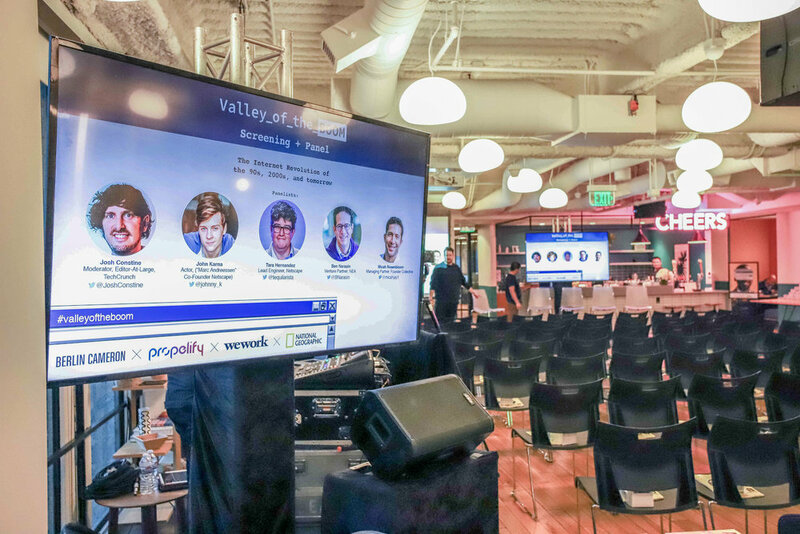 At post-episode talk-back panels, internet luminaries and actors from the show talked with audience members about the boom and, of course, the historic bust.